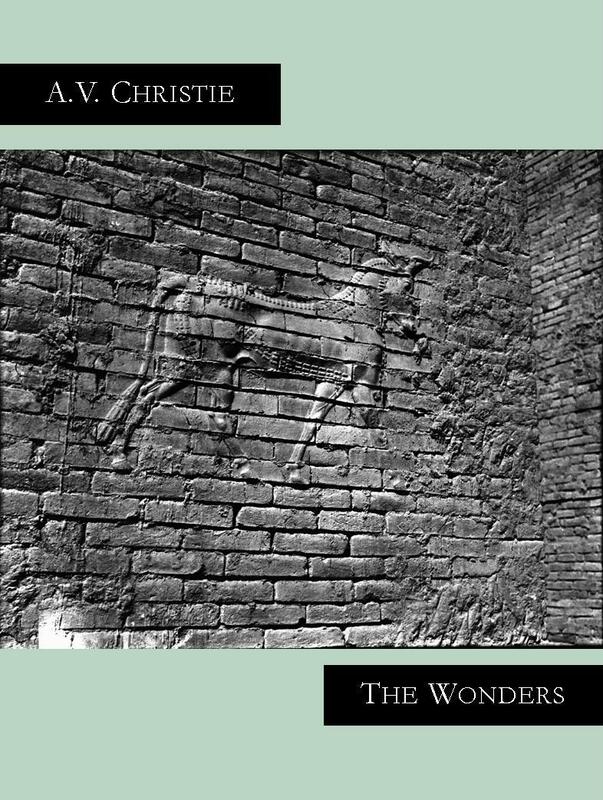 The Wonders by A.V. Christie. Number 2.06 in the Seven Kitchens Press Editor’s Series. Cover image (K 207) courtesy of the Gertrude Bell archive, Newcastle University. A.V. Christie is the author of Nine Skies, which won the National Poetry Series, and The Housing, winner of the McGovern Prize. Her poems have appeared in Poetry, Commonweal, The Iowa Review, Crazyhorse and Ploughshares, among other journals. Christie has received grants from the National Endowment for the Arts and from the Maryland and Pennsylvania State Arts Council and has been visiting writer at Villanova and LaSalle Universities, at Bryn Mawr and Goucher Colleges, and Penn State Abington and at the University of Maryland. She teaches private workshops and is Associate Director at the Chester County Art Association. in the plans of Babylon. for the shedding of blossom. force of all those roots. Visit A.V. Christie’s website here.